It’s with a heavy heart that we announce that Mark D. Ebell, life-long resident of Ventura County, died unexpectedly on November 7, 2018 at the age of 51. Mark is survived by his wife, Ines Ebell; and his children; Michaela, Annelise, Kara, and Theodore Ebell; and his soon-to-be born grandson, Greyson Perez. 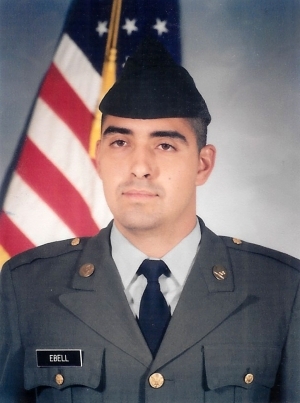 Mark was a veteran of the Army, Army National Guard and a devoted father and husband. He enjoyed the outdoors, tinkering, conspiracy theories, and spending time with his family. He will be remembered for his silly, sarcastic sense of humor, kind heart and for the love he had for his family. He will be deeply missed by his friends, family, and all who knew him. A memorial service is scheduled for 5pm on Friday, November 30th at the Veterans Memorial Building located at 511 Second St, Fillmore. A private burial will be held at Bardsdale Cemetery. The Ebell family would like to thank everyone who made donations to help with the expenses of the funeral. You made this possible for us to honor Mark the way he deserved to be honored, and we thank everyone for the donations, food, and prayers that were sent.